This the first model of the fastest standard Super-Takumar. It has 8 elements in 7 groups. The back of the aperture control switch is blank and has no inscribed product number. Because it is distinctive and was sold for two years with the earliest Spotmatic cameras it has gained a reputation for a variety of reasons. Much discussion about this lens centres on how to identify it. It's a popular lens for digital photography and movie-making and, like its improved later versions, those who can justify it will pay a fairly high price for it second hand. Information on the development of all 50mm lenses is in "Takumarology" (See menu under Collection). (LHS) First batch legacy version "A" with all half-stops available.Probably produced in 1962 during the development of the Spotmatic camera.Note protruding rear lens element. Early "transitional" copies with legacy features (referred to as varieties A, B and C) are uncommon (estimated 5-6,000). By far the majority of this first model are designated D "early", with round lettering; or D "late", with oval lettering. In the first batch a very small number of initial copies are "A" and have half stops between all aperture positions. First copies of B, C and D appear later in this batch. The first and last of these half stops (viz. between f1.4 - f2 and f11 - f16) are absent in varieties B, C and D. Copies in the next three batches consist only of varieties B, C or D. ​See home.a00.itscom.net/shisan12/st5014hist.htm​ for a fuller discussion of variations among copies of Super-Takumar 1.4/50 in Japanese text. According to observed serial numbers the varieties A, B, C and D (round lettering) appeared in the first batch for sale with the early Spotmatic cameras and illustrate the rapid evolution of styling in this lens model (A > B> C >D(round)) during the first 9 batches. ​During the development of early varieties the number of grooves in the aperture rings varied from 10 to 11 and finally 9. Later in the production period of this lens the D (round lettering) to D (oval lettering) change altered the appearance of all Super -Takumars, including this lens. The last batch with wholly round lettering forming the name is marked (as below) but three following batches (from SN1337xxx to SN1340xxx) reveal the transition; some with either oval or round lettering as available parts were used. LHS (Above) First batches include copies that show the IR marker on the DOF gauge with a red "R" still beneath it. This is legacy version "C" from an early batch. The R is lost completely after the ninth batch (SN1079763) allowing a narrow gauge and petite trapezoid. RHS ​(Above) Final large batch e.g. 1591XXX contains copies with available but irregular parts. The LHS of depth of field gauge shows the red IR marker placed correctly in relation to other markings to signify a 358 (this version), but, a 38700 DOF gauge plan (belonging to the next version) has been used to do it! The f=4 finds itself (incorrectly?) beneath the IR mark as a result. This copy is an 8 element 358, one of possibly 3 - 4,000 final copies with this arrangement. The picture is SN 1591856 (without a product number and with a protruding rear lens). It is not a "hybrid" (because no true hybrid is possible); but a copy assembled from available parts that was not wasted, and it's special. A reminder of a time without wasteful attitudes? Re-addressing the issue of "hybrid" where parts of both models are combined during the change-over; only two scenarios matter. One has an extra protruding rear lens; the other has not. (Beware. It is conceivable that the earliest 37800 bodies were not labelled with the model number). ​The 7 element lenses all (?) have their product number "37800" inscribed into the back of their aperture switches and are easily identified. They were the first Super-Takumars to be so labelled. Parts for assembling lenses were made in batches, and, when these were used more were ordered according to the "Just in time" method of production invented by Japanese industry. It avoids parts stockpiling in warehouses. A minor consequence of this process is that leftover or alternative parts might need to be used to meet production targets. This effect is also evident in model changeover between some other lenses (e.g. 43541 Super-Takumar to 43542 Super-Multi-Coated Takumar 1:3.5/135mm and others). 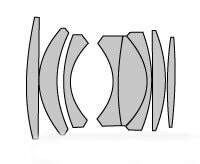 LENS PRODUCTION (∑ lenses) ∑n = 1085 Serial Numbers observed in 69 Batches covering 114,749 SN min. < ∑ lenses < 148,379 SN max. Underlined batches have copies of both styles. Otherwise:F(10/12), A(9/11) are consistent after batch 4. Batches 1-4 contain copies with legacy styling and extra half stops may be available. # A significant number of final copies (3 - 4,000) use the depth of field gauge plan from the next model 37800 as not enough of the former parts are available. 765144 to 766220 (18/ 1076) A (all half stops) plus copies of B, C and D.
967642 to 968549 (13/ 907) B (2 half stops missing) plus copies of C and D.